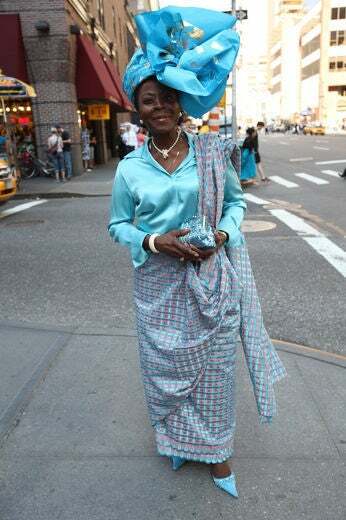 Ms. Kolu K Baysah loves to show her Liberian heritage at the 2010 Easter parade in NYC. 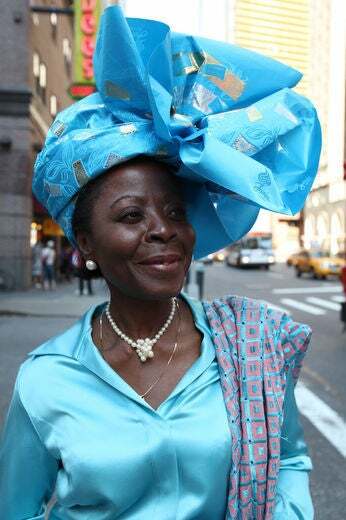 This beautiful turquoise crown is native to Liberia. 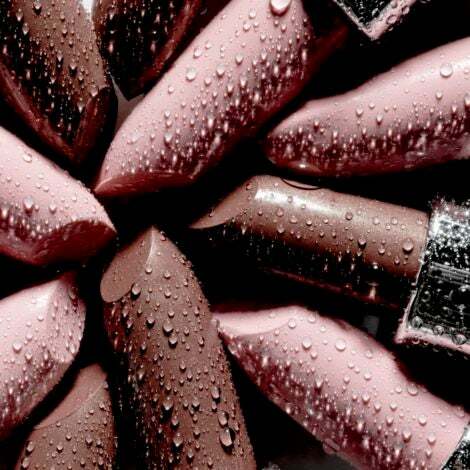 This tone gives it an Easter twist. 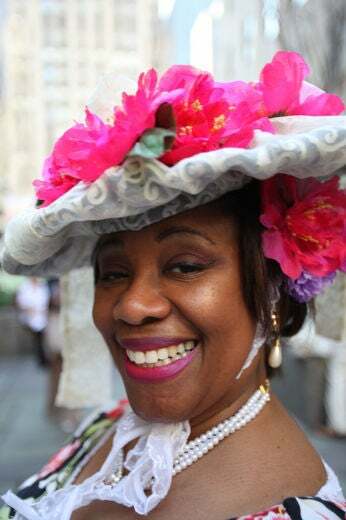 Ms. Greta M Herron is a regular at the 2010 Annual Easter Parade. 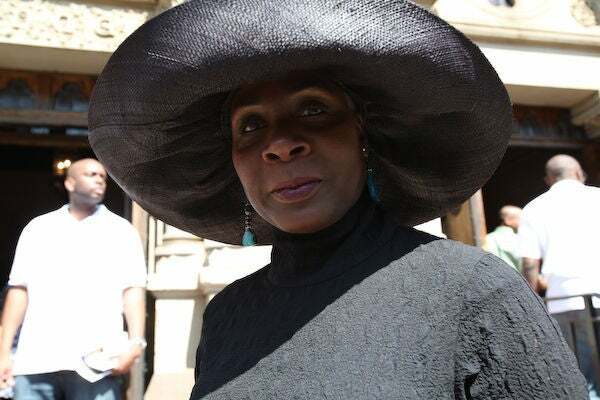 She is known for her hand-crafted hats. 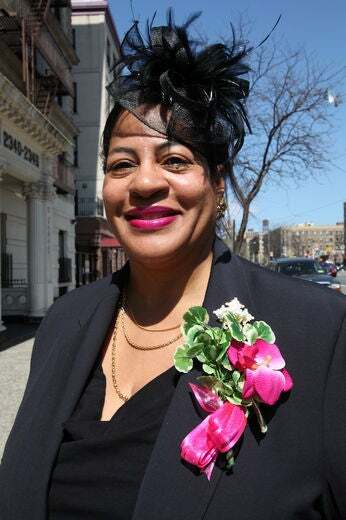 Marcia Pendelton, a marketer of Brooklyn artists, sports a festive dress at her church, the Emmanuel Baptist. 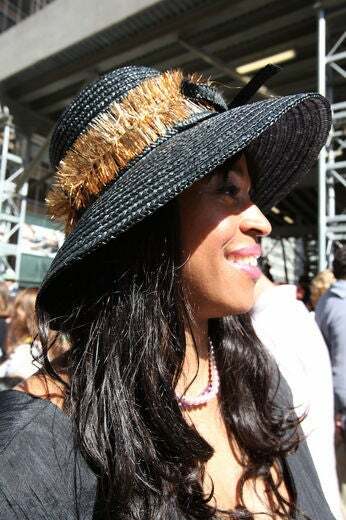 This black hat is a simple understated top to a dress that explodes in color down below. 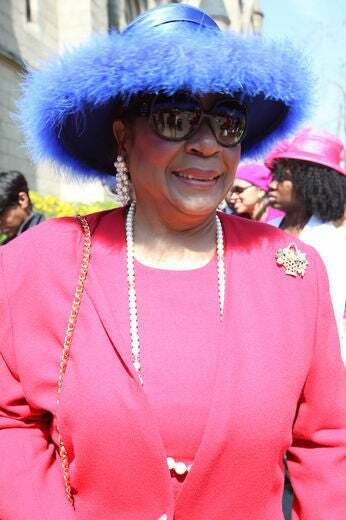 Ms. Thelma Mason shows a fun and flirty side with a feathery cap. 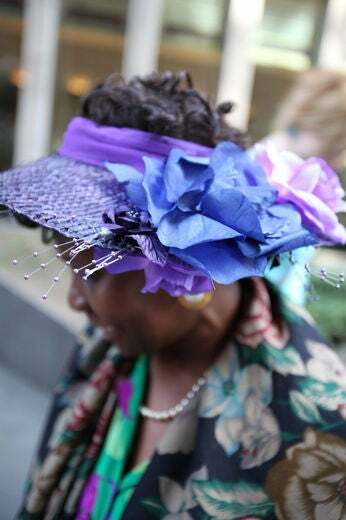 This Easter bonnet makes a statement on St. Mark’s Place. 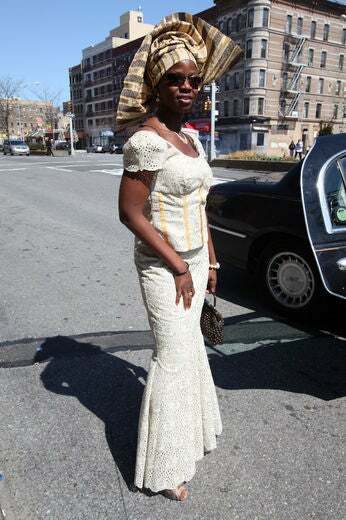 Lolu looks like a Nubian princess with her mudcloth Gele. 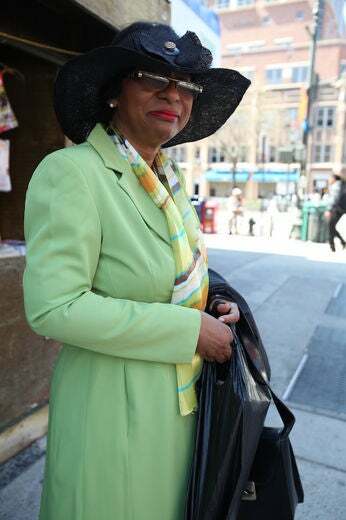 Ms. Linda was enjoying the sun and the eye candy in front of St. Patrick’s church when we met. 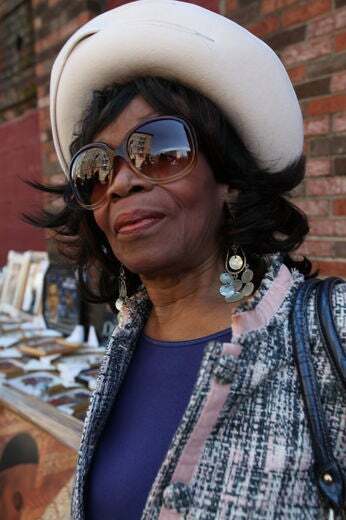 Ms. Bernice Smith wears a vintage Mr. John hat. 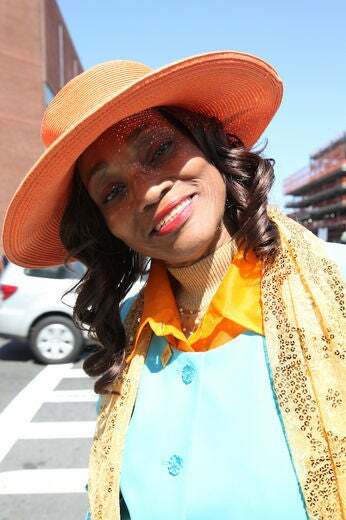 Ms. Shirley Scott, a fashionista in Harlem, looks lovely in her tangerine hat. 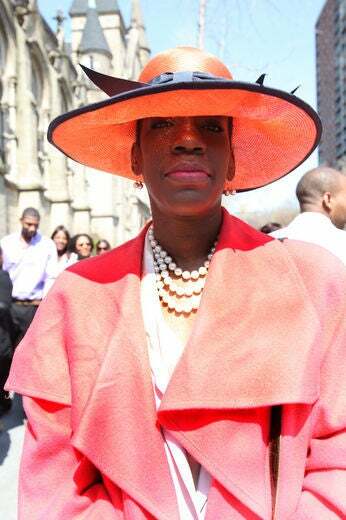 This chic piece looks great for 2010 Easter Sunday. 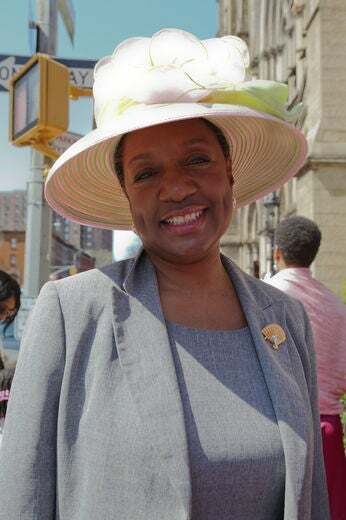 Beating the heat on a warm 2010 Easter Sunday. 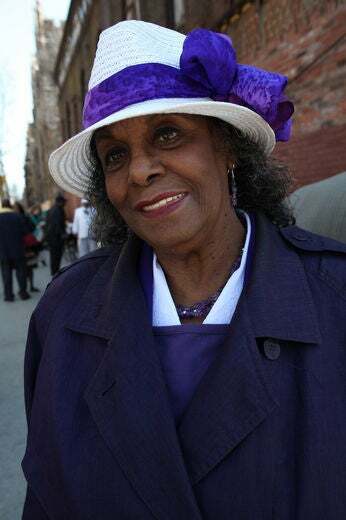 This lovely lady reveals her effortless style by wrapping her white hat with a vintage purple scarf. 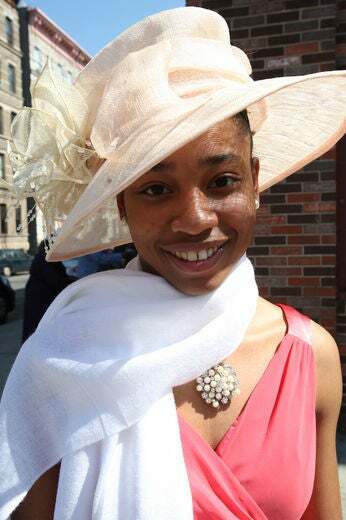 Katherine Woodlard looks simply stunning in this beige topper on 138th street. 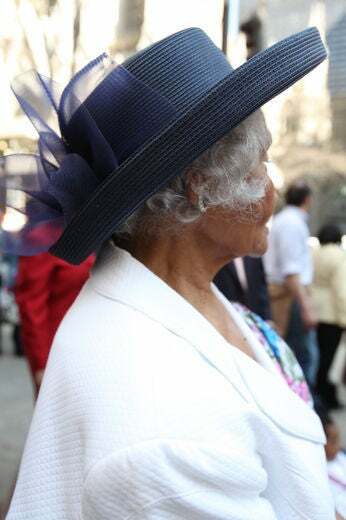 This lovely navy hat is a sharp Easter accent. 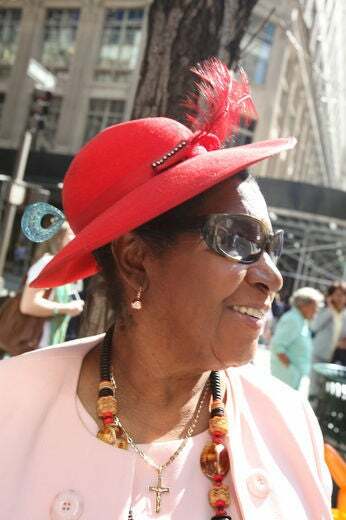 Walking down 5th Ave in Midtown Manhattan, this stylish woman brought the heat with her fire red bonnet and matching accents in her statement necklace. We spotted this pretty blue flower on 48th St in Manhattan. 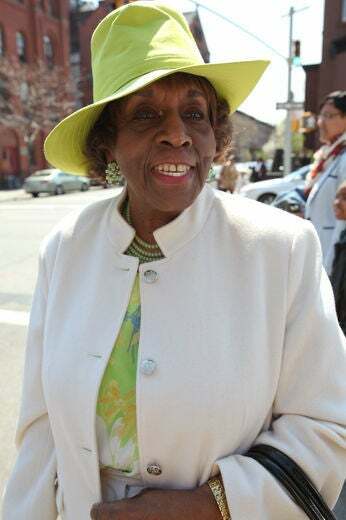 Celebrating the joyous occasion of Easter, a church-goer sports a white hat after service at the Emmanuel Baptist Church in Brooklyn. 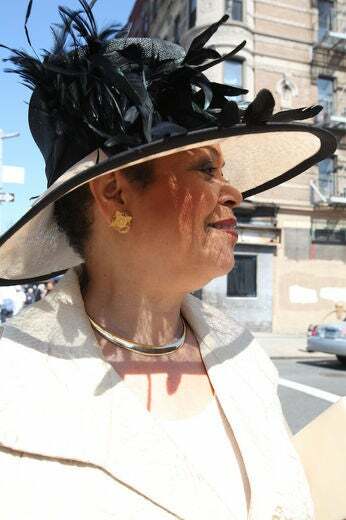 This women reads dignified in this stunning hat. 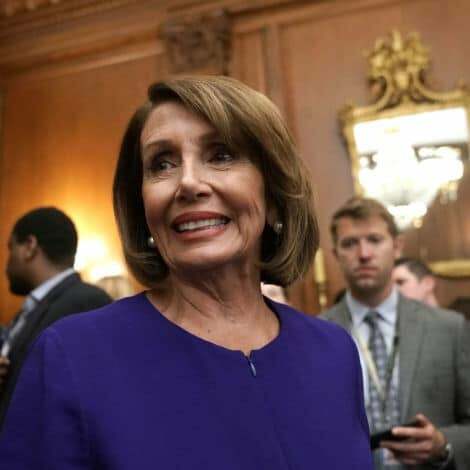 This cheerful lady was refreshed after service and her smile shows it.